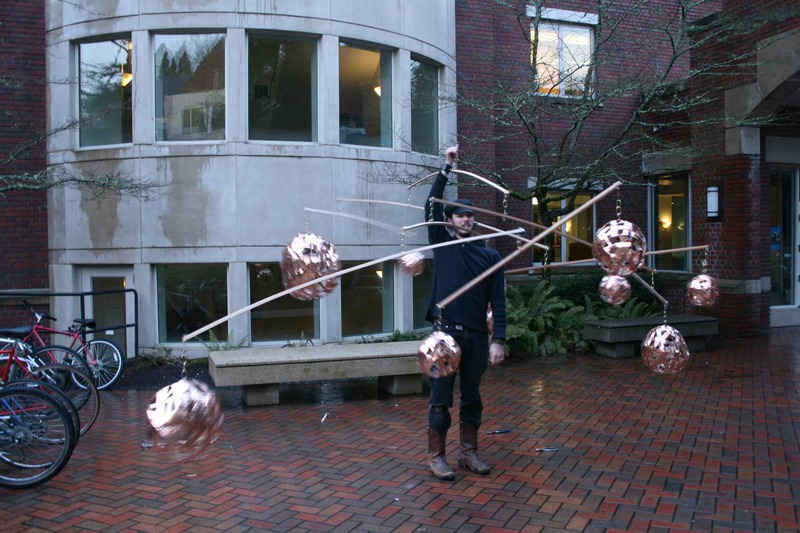 Reed College’s Arts week in March of 2012 provided partial funding for this mobile sculpture which hung in a public space on the school’s Portland Oregon campus for the duration of the event. 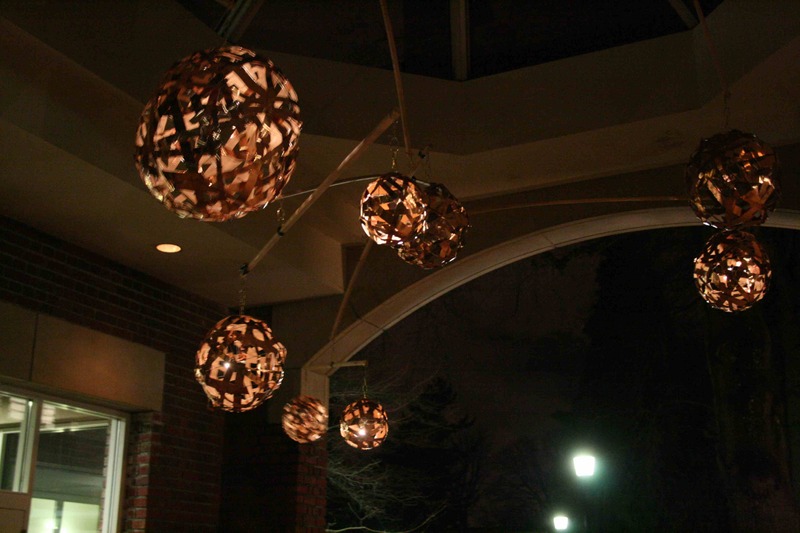 Mobiles outdoors in public and those which utilize the power of the wind and sun have always fascinated me, and this artistic endeavor was no exception. I conceived of the mobile to be both beautiful during the day, complimenting the color of the brick buildings on either side, and also enchanting at night, adding to the wet mystery of winter in the Pacific northwest. Constructed from copper flashing, steel wire, brass chain and wooden rods, the sculpture consists of ten partially completed spheres which all spin independently of their hang points and which move unpredictably in the wind between the buildings.